Mindi Lasley is a compassionate and experienced guardianship lawyer who can help you. 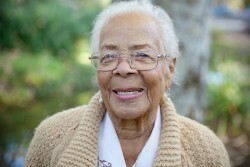 Caring for an elderly loved one can be both challenging and rewarding. The safety and well-being of your loved one becomes a priority, and there are many tools available to help you. A guardianship is one tool that can help you protect your loved one and provide them with a higher quality of life. A guardianship is similar to an adoption in that a third-party, who may or may not be biologically related to the person under the guardianship, is granted decision-making authority over another person and/or his or her property. While guardianships can be placed over children, they are most often placed over elderly individuals who have become incapacitated or have otherwise lost the ability to make sound decisions regarding important life issues, like finances and medical care. To avoid the extensive and costly process of appointing a guardian, it’s best for an adult individual to have a durable power of attorney or designation of health care surrogate in place. A limited guardianship is appropriate if the court finds the ward (meaning the person for whom a guardian has been appointed) lacks the capacity to do some, but not all, of the tasks necessary to care for his or her person or property. This is also appropriate if the individual does not have pre-planned, written instructions for all aspects of his or her life. A plenary guardian is a person appointed by the court to exercise all legal rights and powers of the adult ward after the court makes a finding of incapacity. Wards in plenary guardianships are, by definition, unable to care for themselves. Who Can Get a Guardianship? Generally speaking, almost anyone can get a guardianship over another person; however, it must be clearly demonstrated to the judge that the person who will be under guardianship is currently in your care, and that you have the ability to make sound decisions in the person’s best interest. It is much more difficult for a non-relative to obtain a guardianship. Regardless of your relationship, an experienced guardianship attorney can help you learn more about guardianships and determine if it is the right step for you and your loved ones. What Are the Benefits of a Guardianship? Are There Drawbacks to Guardianships? Despite the potential drawbacks, the benefits of a guardianship are far greater. An experienced Tampa guardianship attorney can help you and your loved ones determine if a guardianship is the right path for your family. 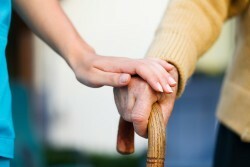 How Can Someone Get a Guardianship Over Their Elderly Loved One? In order to obtain a guardianship over another individual, formal paperwork must be filed with the appropriate court in your area. You must be able to illustrate to the court how your loved one has become incapacitated, and how they are unable to make critical life decisions for themselves. You can present evidence from your loved one’s physicians, as well as statements from other family members and important individuals to help strengthen your case. Family members, and even the ward, will be given the opportunity to contest the guardianship. They will be able to file their own paperwork with the appropriate courts if they wish. A court date will then be set, and you will be required to attend a hearing in front of a judge. Depending on the circumstances surrounding the case, the court hearing can either be short and uneventful, or it can be heated and drawn out. 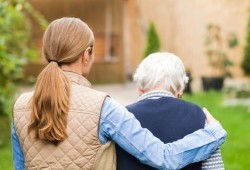 If you are considering obtaining a guardianship over your elderly loved one, it is imperative that you speak with an experienced guardianship attorney as soon as possible to learn more about your rights under Florida law and what your next step should be. Don’t wait to get legal help when the need for a guardianship becomes apparent in your family. Mindi Lasley can help you learn more about guardianships, and how they can affect you and your loved ones. She can give you the information and resources you need to determine whether a guardianship will be beneficial for you and your family. She is a compassionate, experienced Tampa Guardianship lawyer who understands how challenging caring for an elderly individual can be. Attorney Lasley is prepared to go the extra mile in your case to help you find legal solutions that work for your family. Attorney Lasley understands that each family has unique needs and circumstances. She will tailor her legal representation to provide you with the caring support you need during challenging matters like guardianships and elder law. Contact our office today for a consultation to discuss your unique legal situation and how to move forward to work towards the best possible outcome. Call now at (813) 873-9047 to get started.